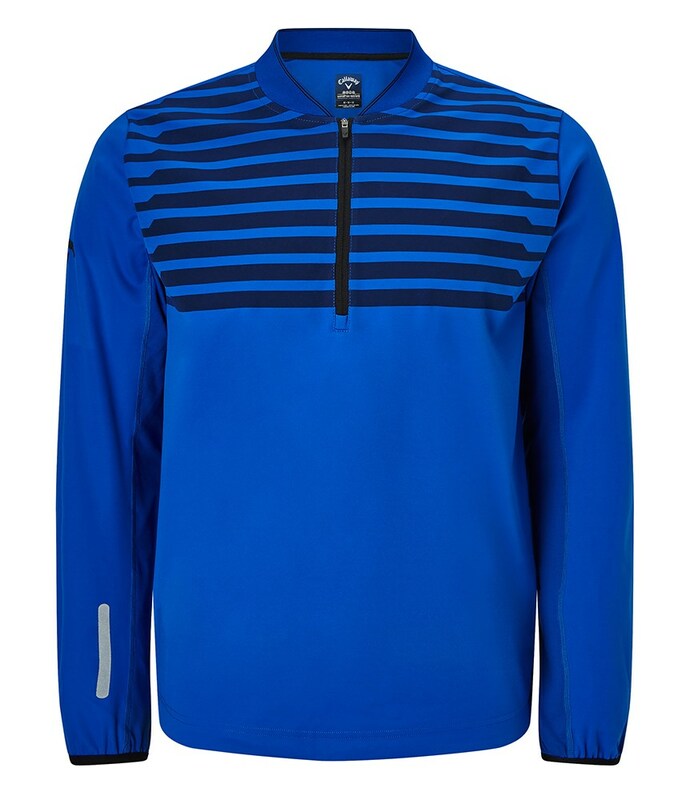 The Callaway Technical Mid Layer Quarter Zip Pullover will provide the perfect barrier against the cold and rain. 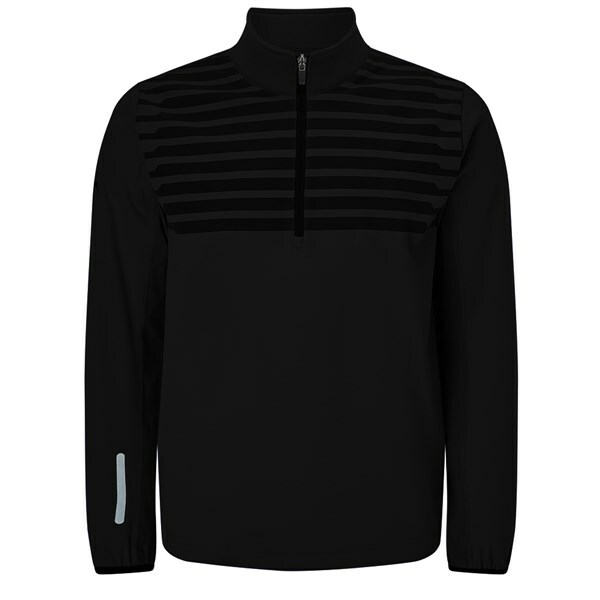 This lightweight pullover will provide the necessary thermal insulation to keep your core temperature constant for enhanced performance. 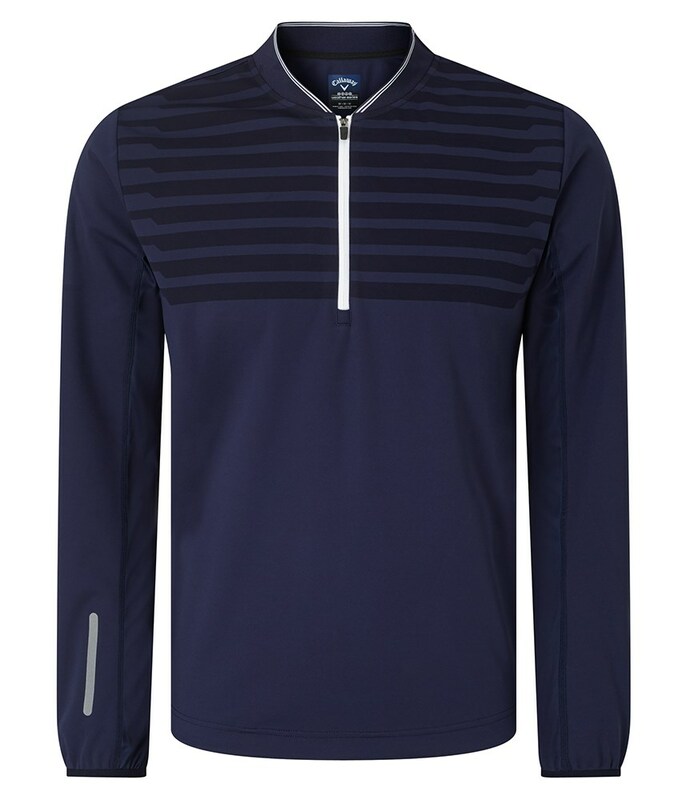 The outer of the Callaway sweater features a water-resistant finish that will provide enough protection during a shower so there is no need to reach for your waterproof jacket. A technical stretch in the fabric will provide increased movement and mobility so that you are able to swing free and easy without restriction. Technical thermal 1/4 Pullover with rib tipped chest design and contrast zippers. Stretch, thermal and water resistance. 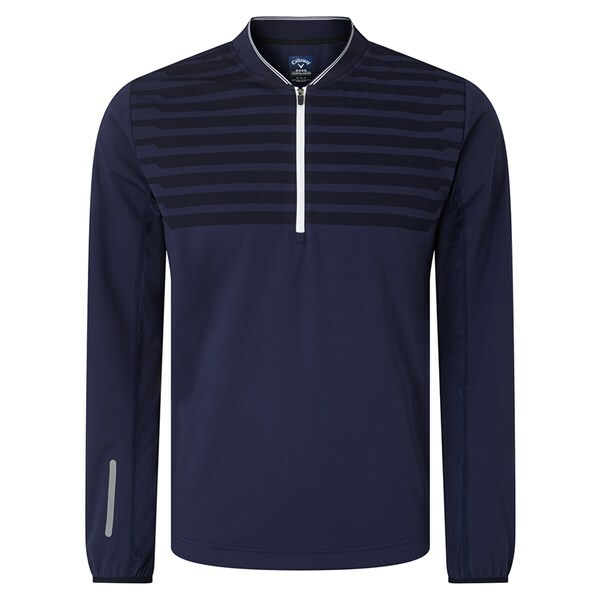 TPU Callaway logo on the wearer's right sleeve.